Looking forward to working together to make Maryland an even better place to grow older! We are always interested in learning about our members and their experiences. If you have partnerships or collaborations with educational institutions, technology companies or other organizations that enhance the lives of their residents, we would like to hear from you. Please send an email to Allison Ciborowski about your relationships so that we can share your knowledge. LeadingAge Maryland has a dedicated part-time Communications Manager that is available to share the events, activities, transition information and other newsworthy items with the entire membership. We want to know what your organization is doing to enhance the lives of aging, the innovative ways you work with other communities and the lessons you’ve learned over the years. We strive to be the resource you need to succeed with the best educational events, advocacy updates and networking opportunities in Maryland. Contact Christen Ensor at censor@leadingagemaryland.org for any communications or marketing relating events. Don’t forget to like us on Facebook and follow us on Twitter. Baker Tilly and RKL offer a variety of resources to make sure LeadingAge Maryland members are equipped to meet new revenue recognition standards under ASC606. Just go to their websites to explore whitepapers, articles and webinars: www.bakertilly.com and www.rklcpa.com. We always appreciate the many ways in which our sponsors and business members share their expertise! We have just sent out the latest detailed Five Star Analysis Report to each member nursing facility. Five Star calculations now include staffing data submitted through PBJ (Payroll Based Journal). You may be interested in a chart of staffing data by position type, by ownership type, across all states. If so, click here. Sagepoint Senior Living Services’ Community Education Series event, Having "THE" Conversation: Talking With Loved Ones About Their Wishes, earned a 2018 Gold Aster Award in the national competition that recognizes excellence in healthcare marketing and advertising. Sagepoint’s invitation for their Invite-Only Preview of their brand new rehabilitation center, designed by Jessie Jowett from Quality Printers in White Plains, MD, also earned a 2018 Gold Aster Award. The Integrace Neurocognitive Clinic and Integrace Institute at Copper Ridge are offering a two day yoga seminar and retreat in scenic and tranquil St. Michaels, Maryland. This program is designed to provide healthcare and yoga professionals with transformative approaches for supporting meaningful living for individuals living with a neurocognitive disorder. Attendees will gain practical tools and strategies, and CE available for a variety of professionals. For more information, please click here: or visit www.integraceinstitute.org. 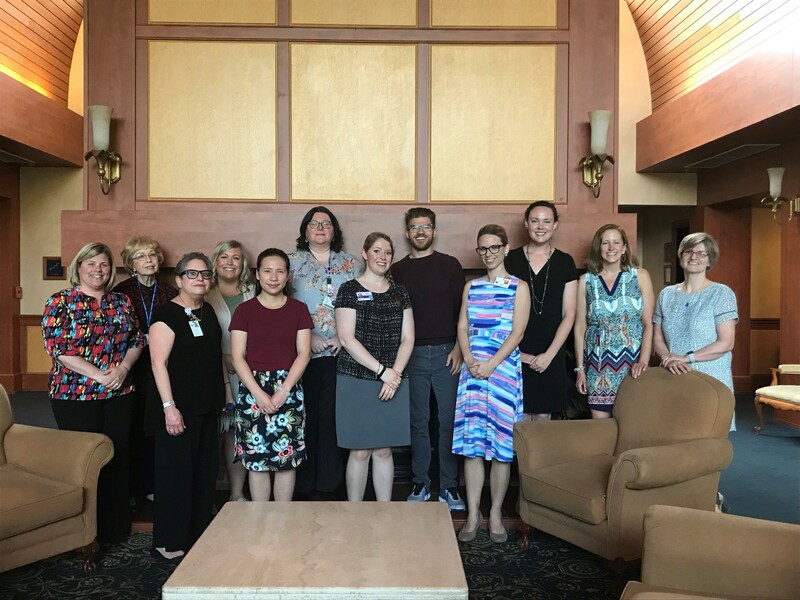 On May 15, life enrichment professionals from LeadingAge Maryland member communities gathered for a quarterly learning and networking forum. Individuals were in attendance from Baywoods of Annapolis, The Lutheran Village at Miller’s Grant, Ginger Cove, Glen Meadows, Ingleside at King Farm, and Edenwald. 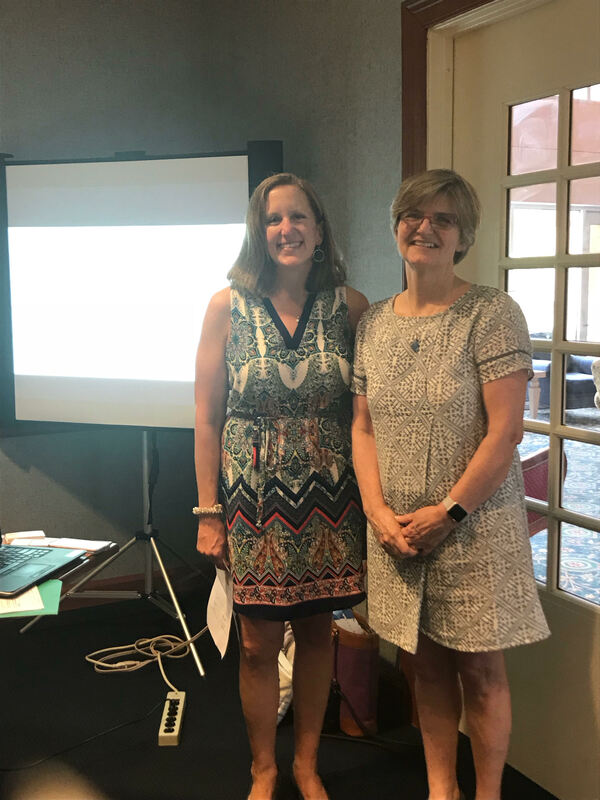 The agenda featured guest presentations on technology solutions and apps for older adults and caregivers, and understanding complex family dynamics. Our next meeting with take place in early Fall of 2018 at Edenwald in Towson, Maryland. Any individual interested in learning more about creating meaningful opportunities for engagement for residents in invited to attend. May 29 Tuesday StandUp – Onboarding Best Practices hosted by Raf Haciski and Bette McNee of the Graham Company. LeadingAge Maryland, along with LeadingAge DC, LeadingAge Ohio, LeadingAge Virginia, and LeadingAge Maine/New Hampshire, is pleased to offer Tuesday Stand-Up – a clinical learning opportunity held every other Tuesday at 10:00am. The call is designed to be a narrowly focused, 15 minute learning experience referencing a current clinical, regulatory or operational issue. Each call will offer listeners actionable advice designed for hands-on clinical team members, healthcare leaders and clinicians. May 30 Webinar- 12:00 -1:00 Maryland Paid Sick Leave Act hosted by Whiteford, Taylor & Preston will outline practical steps to assist employers in bringing existing leave policies in compliance with the new “Maryland Healthy Working Families Act.” Topics will include: core provisions; accrual and carry over of leave; permissible uses of leave; recordkeeping obligations; and enforcement procedures. Click here to register. June 6 Social Work Peer Network Forum 10:00 am – 3:00pm at BroadMead Retirement Community. Any social worker who works in a LeadingAge Maryland nonprofit member organization is invited to attend this day of networking and learning. Save the Date! The 2018 Fall Leaders Forum will be taking place on September 11, 2018 at Ginger Cove in Annapolis, Maryland. LeadingAge Maryland’s Newly Redesigned Emerging Leaders Program is Now Accepting Applications! Applications due by July 1, 2018. To learn more or apply, please contact Allison Ciborowski or 240-750-9925, or visit: https://www.leadingagemaryland.org/page/EmergingLeaders? Last month, Rep. Frank Pallone (D-NJ) asked LeadingAge and their members to provide feedback on his plan to create a viable solution to financing long-term services and supports: the Medicare Long-Term Care Services and Supports Act of 2018. The plan complements the work that LeadingAge has already been leading for many years, and provides an opportunity to take action to create a more sustainable, comprehensive, and affordable solution for the many individuals and families in need of long-term services and supports. Rep. Pallone has asked for comments on this discussion draft by June 15; click here for the draft bill, click here for a section-by-section summary, and click here for a fact sheet. We encourage members to review this proposal and share your reaction with us so we can incorporate our members’ views in our comments. For further information or feedback, you may contact Marsha Greenfield, mgreenfield@leadingage.org. PDPM- The patient driven payment model, FY 2019 skilled nursing facility proposed rule is being closely watched by LeadingAge. LeadingAge is currently putting together an informal advisory group as well as evaluating tools and supports. There will be education on the topic at in-person meetings and through online tools. If you have questions, please feel free to contact Aaron Tripp.